I just put together an electric twin for the first time. I soldiered my own Y harness with #10 stranded copper wire. I just plugged it in 2200mah 3c and one of my 30 amp ECS’s went up and smoke. Maybe ruined the other. Any ideas what I did wrong? Can you post some pictures of the wiring and connections? Forgot to use a smoke stopper. Usually only takes one instance like this to motivate people to make and use one on every new ir freshly repaired setups. Im a hardhead.. it took me two blue poofs before I made mine. Pictures would be helpful as Sean said. Sounds to me like polarity is reversed somewhere. Pictures like stated above is about the only way to tell for sure tho. Yeppy something new to make during tonight’s shift at work. My Electric motor smoked out too. Without the Y harness. I have no idea where I went wrong. Yep. A smoke stopper definitely would have prevented equipment damage in this case. In the future, you might also consider streamlining things to remove potential points of failure and weaknesses. It would also save you a bit of money and work. 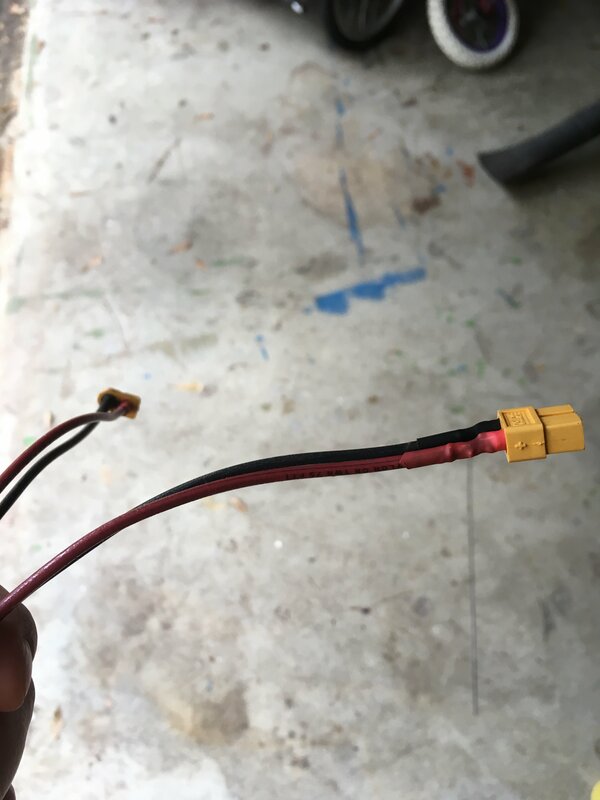 Rather than make a Y connector with an extension and a deans->XT60 adapter, why not create a Y connector with two XT60's and a Deans T connector instead? 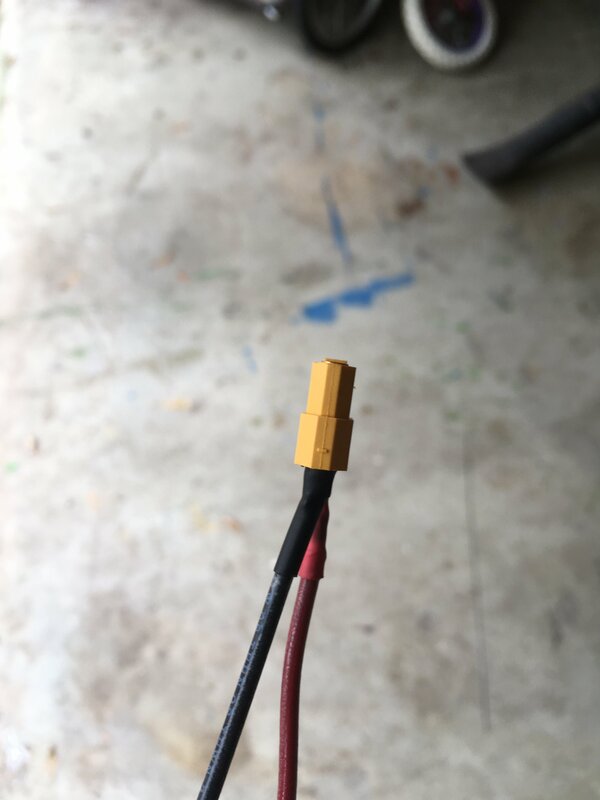 If you didn't have a Deans connector on-hand, they're pretty cheap and easy to find online or even at local hobby stores or among local RC clubs. Always use one connector type, it makes getting the polarity right across the whole loom much easier. More plugs are more potential problems. I double checked the polarity everything was good there. I’m still puzzled. Was a 30 amp esc not big enough? 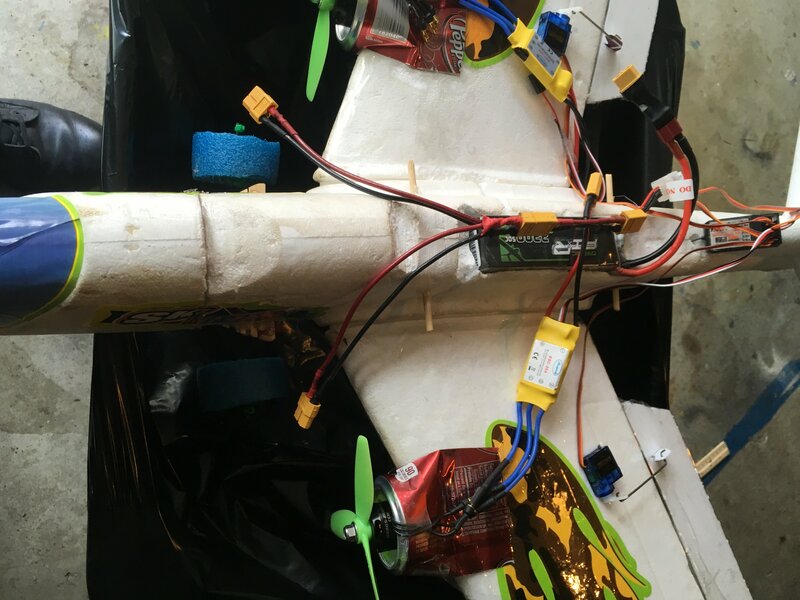 Did the motors and escs work properly before connecting them together? Are those scorch marks on the connectors and wires from the soldering or from plugging I in the battery? What happened right before the smoke release? Did it not happen until you ran up the throttle? As far as I know, yes. At least one of them I used before single motor. The scorch marks are from soldering and the initial smoke out was on throttle up. I did a voltage test and continuity check with the ohm meter before hooking it up and checked out good. Well, that helps. Since you said (presumably after testing them individually) that one motor and one ESC is now dead/not working, it sounds like the motor killed the ESC. That can happen if the motor was already damaged. Perhaps by a screw used to mount the motor or some of the loose metal that might have come from the aluminum can type motor mount got into the motor and shorted out some windings. That will kill most ESC's eventually (specifically the FET's). 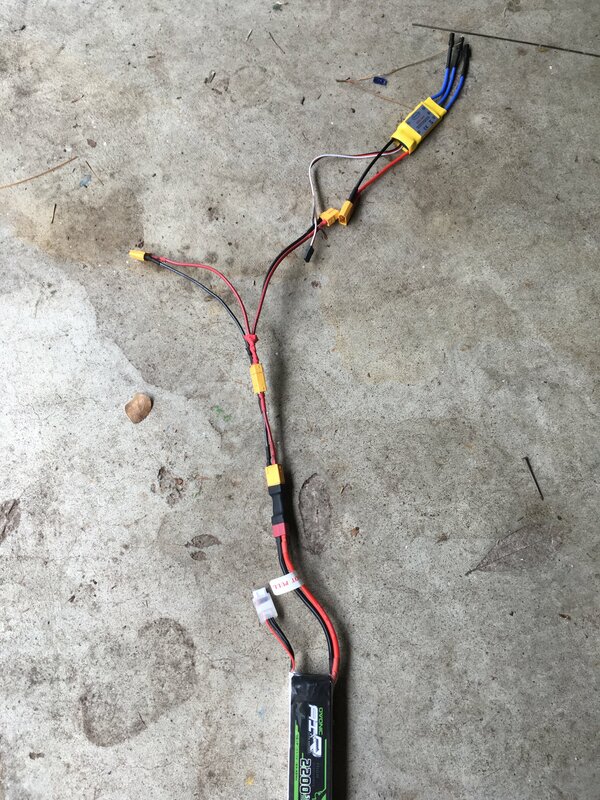 I'm guessing it most likely would have been the motor/ESC pair you hadn't tested prior to connecting them together. In the future, if you can, I'd recommend testing individual components separately if possible before using them together. I do that with all my servos, esc's, motors, etc. I mean, I will pair an esc/motor, but if I were making a twin, I would test each individually before I connect them together. Just much easier to troubleshoot in the future. Goes with the KISS principle which means "Keep It Simple and Straightforward" (that last S also can be "stupid") and follows what I suggested above about keeping your wiring as simple as possible. How do I test the motor before connecting it to an esc? Thanks for the help I’m really new to this. 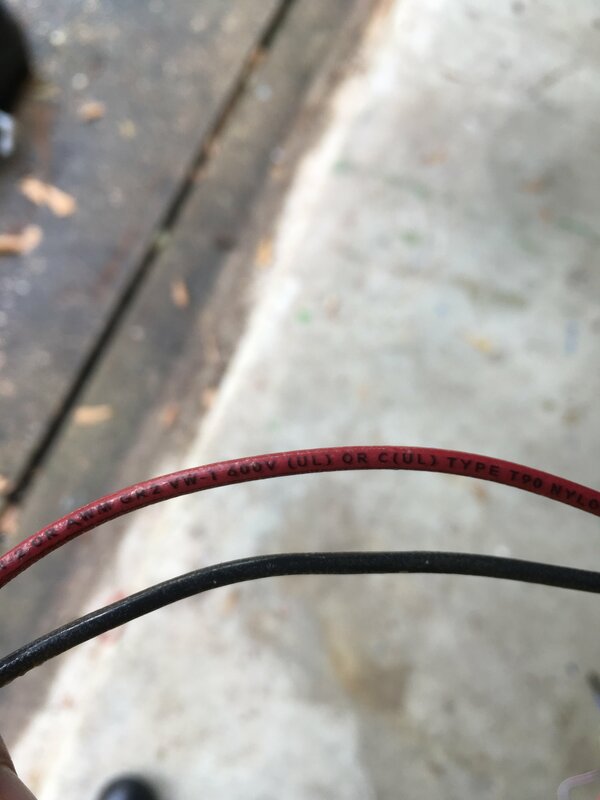 The only thing that I ask is what did you have connected to the 30 Amp speed control? It it were nothing then you have bought a bad 30 Amp speed control. It is obvious that the speed control output was so to speak over loaded or "shorted out". 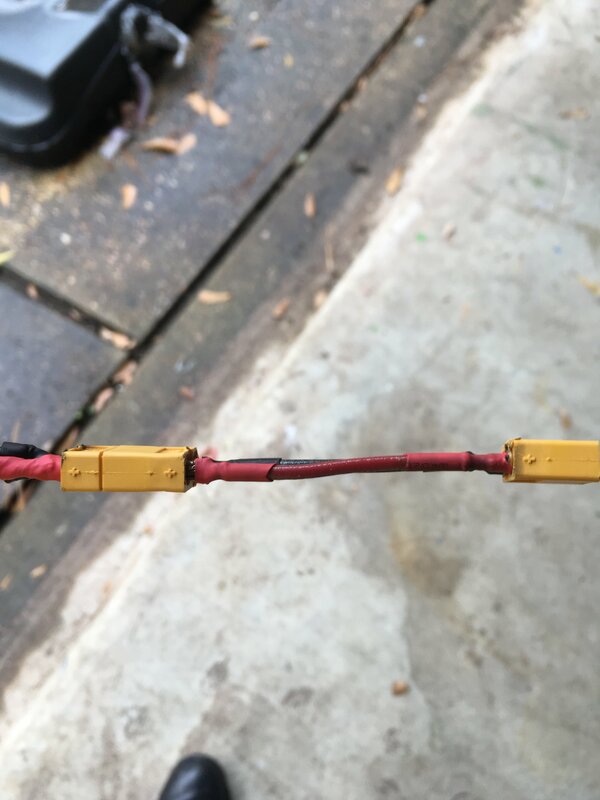 Double check you wiring polarity just to be sure your wiring was correct. Read most of the above and see what happened, "KISS" is something that one has to learn and its not easy. Ok Makattack, I love that one in the CG it was "stupid"